Pom Bears have brought back out the pickled onion spooky flavour for Halloween after the success from them last year. Hands up I'm a massive Pom bear fan, never mind the kids. I love how the flavour is simple but light and the crunchiness is divine! Yum. 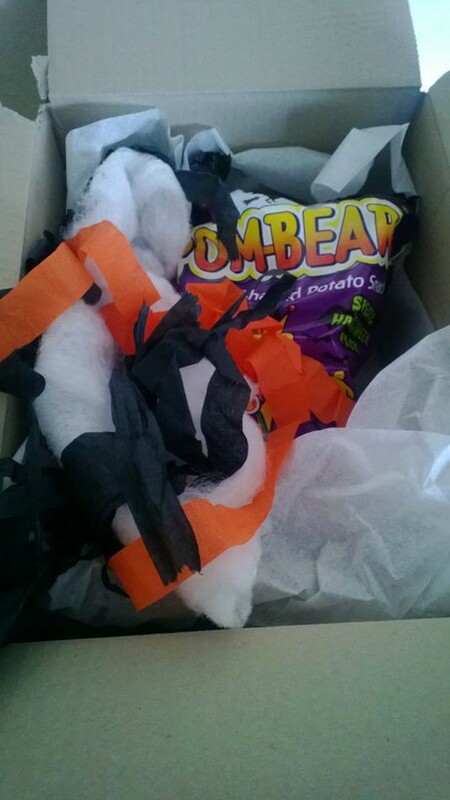 I got a spooky package and inside was the new picked onion flavour. The little ones went wild so we all had a packet each. I was surprised how the picked onion tasted rather sweet and it was very subtle flavour and not over powering at all. My daughter loves them, where my son wasn't rather keen, he is normally a plain Jane when it comes to crisps normally. They have no artificial colours, no artificial preservatives and are gluten free, so perfect for little and big tums. For more details about Pom-Bears, you can visit their website www.pom-bear.co.uk for ingredients and fun facts. The site is really interactive for kids too, it kept us entertained for a while!